Here’s news from Paul Graham of a new website and Facebook page for Bluegrass Music in Israel. We’ve learned that bluegrass music has had a presence in Israel for many years now. Taken into the HOly Land by immigrants from the USA and England. The first real bluegrass band in Israel began in the late 1960’s when Zoie and Mimi Isseroff from the USA, met Sid and Hadassah Singer from the UK. Both couples had been performing as duos around Israel and later formed the Golden City String Band. The Golden City String Band took many traditional bluegrass and country tunes,and had them translated into the Hebrew language, and took their music to a wider audience around the country playing halls, and amphitheatres. News just in from Rod and Judy Jones is that the society has launched a new website. The site is not aimed at replacing any of the existing bluegrass or old time websites or faccebook pages. If you have a bluegrass or old-time music event that you think could be publicised to BTCMSA members, you can send details through via the new website. The Bluegrass & Traditional Country Music Society of Australia (BTCMSA) was founded in June 1975 when around 30 people met in a room in the University of Sydney to talk about setting up a group for people who were interested in the music. From July, monthly open mic concerts started in the University of Sydney’s Fine Arts Workshop. People of all levels of ability were encouraged to play on stage supported by the more experienced musicians. There was often a short square dance at the start. Occasionally there were workshops either on the night or at other times. Paul and Collen Trenwith and Colin Watson were regulars. A monthly newsletter – The Cumberland County Rag followed and several concerts were organised with local, interstate and, later overseas guests. We even designed and screen-printed our own posters for the concerts. A Victorian branch of the BTCMSA started up in 1985 and Pickin’ At The Piggery ran in Melbourne continuously until 2011 where it has morphed into The Blackwood Academy. The National Bluegrass & Traditional Country Music Convention is held each year in Victoria. 2012 will be the 24th year. Thirty-six years and three venues later, we are still getting together once a month in Sydney for a workshop and open mic acoustic concert! 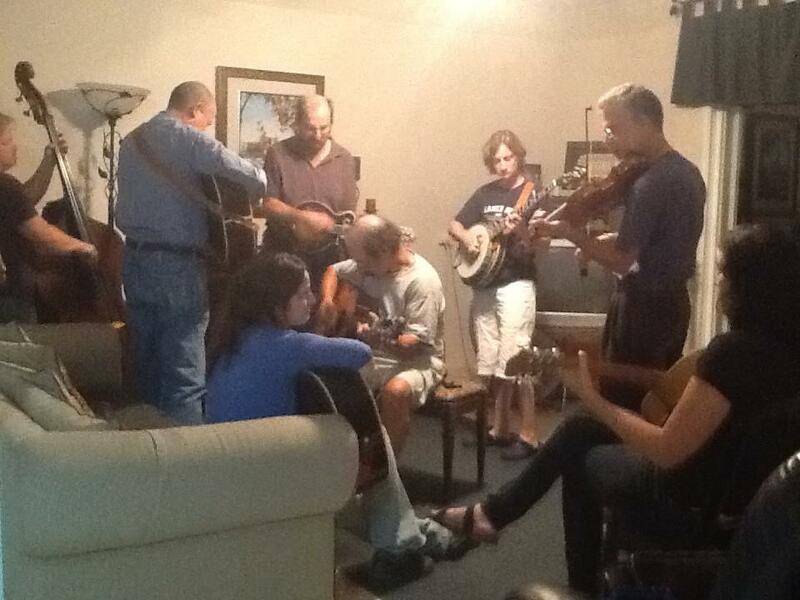 Check out the Sydney Bluegrass & Old-Time Music get-together page on Facebook. Runway Records is a platform for your music to be heard and showcased for free, go to RunwayRecords.com. This was started because of CEO, James Buccelli of Runway Enterprises has a love and passion for music. I love all types of music. This is a very prestige platform to be seen on. You have nothing to lose Mr. Buccelli. Runway Records gets the attention that many A&R people apply their focus on, Runway Records website by Runway Magazine. Its free, innovating and exciting. Runway Magazine distributes your music to hundreds of thousands of people through the Runway Social Network. From entertainment to world affairs, business to style, design to society, Runway Records is a cultural catalyst—a music label that provokes and drives the popular dialogue. With its unique mix of music, bands and artist with in-depth reportage, and social commentary, Runway Records accelerates ideas and performances to center stage. Runway Records is an unrivaled media event that reaches modern, sophisticated consumers who create demand for your brand. Want to send an artist for a feature? Email – music@RunwayMagazineInc.com. The Australian Bluegrass Blog has commenced developing a new website to pay tribute to those many folk who helped create, shape and grow the bluegrass and old-time music scene that we all enjoy so much of here in Australia. Thanks to Strzelecki Stringbuster’s John Werner in Gippsland who came up with the idea around a year ago and has since helped us develop the site and kindly written an introduction. The great players and contributors listed on this website come from all walks of life, and some are better known than others. Their common link is they have, quite simply, achieved the remarkable status of being the genesis of a movement, directly or indirectly inspiring any Australian picker who’s ever sat in a bluegrass / old-time session at one the many festivals now on offer here. Next time you catch one of them at a festival, after a concert spot or at a session, tip your hat, buy them a drink, and pay homage to someone who, not only opened the doors that you are now walking through, but made the welcome on the other side mighty warm. We owe these trailblazer’s a nod of gratitude – John Werner, Gippsland Victoria. One of the many things that have been in the back of my mind over the years, is the amount of work that goes into keeping a bluegrass event, jam session or festival going over many years, generally for little reward and sometimes amidst fierce criticism. There are many who help make the Australian Bluegrass music scene what it is currently, and keep it alive and in the public focus. There are just as many people who originally worked to create the local scene here in Australia and they may not be known to those of us who have just arrived later in the process. 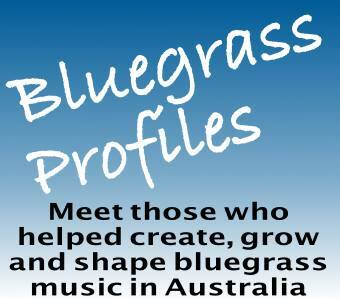 At the Australian Bluegrass Blog we hope to bring recognition to those people who have helped create, shape and grow Bluegrass Music in Australia by bringing you their stories. John Werner from the Stringbusters raised this idea with me again a few months ago; so it is time to do something about it. We are currently conducting interviews with a variety of folk and have plans to introduce you to them and others, bit by bit, over the coming months on a page called Bluegrass Profiles. No doubt there will be a variety of ideas on who should be featured in this project and we do seek your input, but we also ask that you please be patient. We’ll get around to building a comprehensive list as and when we can. Please feel free to chip in and suggest names to feature for the future. Nathan Clarke has advised us of a new social network for banjo players in Australia. As a new comer to the banjo, Nathan found it difficult to gather the resources and in making contact with people who could assist him in his banjo journey. With difficulties in connecting with people, finding the resources and the limited success on sites such as Banjo Hangout and Aussie Banjo Pickers group he decided to venture out. Nathan decided to establish a Banjo Players Australia network using the growing social network, Facebook. Facebook is likely the biggest social network on the Internet. It recently hit a milestone of 750 million registered users worldwide. Using Facebook’s advertising feature to target Australians on Facebook, it quotes a figure of some ten and a half million people. So I see facebook as a great place to establish a social networking presence for Banjo players in Australia – Nathan Clarke. 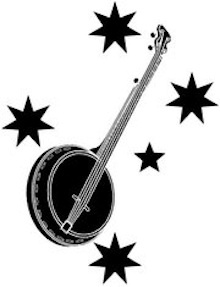 Visit the Facebook Page for Banjo Players Australia here. Over the past decade, we’ve seen the internet revolutionize the way we market ourselves, our businesses, and our ideas to the masses. Now there are full websites dedicated to helping bands get exposure to the right people, allowing for them to get noticed by record labels and make it to the big time. MySpace was at the cusp of this music marketing revolution, having dedicated pages for musicians and allowing for other users to feature their favorite songs on their profiles. Once Facebook took over, MySpace Music seemed to be the only thing of value on the site for years, allowing artists to showcase their music and network, and presenting an easily accessible platform for industry executives and scouts to search for new talent or follow up on a lead. Recently Facebook integrated a new service into their site, allowing for bands to do the same and showcase their music and allow their fans to “like” their songs and share them on their own walls without making them a staple on their page, as is the case with MySpace. This development was long overdue, and is still catching on, but before no time, it will be a common site on the social networking site. A new site, WHOOZNXT, raises the bar even further, and allows for fans to make a difference. The site was developed as an extension of NXTM, the agency that is responsible for the digital presence of Justin Timberlake and Taylor Swift, and was created by former MTV executive, Jeff Yapp. WHOOZNXT, raises the bar even further. They started this venture at SXSW (South by Southwest) and gave artists the chance to compete for a gig on Jimmy Kimmel Live, as well as being featured as a part of Rachael Ray’s SXSW events. As fans voted for their favorite bands, the numbers grew on the site and the competition was very visible. Over the course of the festival, the service became an overnight hit, and more venues and organizations began to show interest in the site, allowing for bands to petition for spots based on their popularity, and get essentially get voted on by the fans. The site now posts gigs for such venues as the Van’s Warped Tour and guest spots on Jimmy Kimmel Live, and allows for bands to submit for gigs and push for their fans’ support to help them get chosen. It is an interactive petition that can be compared like voting for American Idol, but in this case, it doesn’t keep the artist in the running, but gives them a very real gig that they can use as a platform to be heard and get noticed by the rest of the industry. Time will tell just how big this becomes, but from the very beginning, the site is buzzing with excitement, and the fact that the goals are all actually attainable, makes for an exciting, positive way for more artists to get out there and be heard. Award winning super-group, Mountain Heart has recently launched their new website www.mountainheart.com. The new and improved site will be the main source for all things Mountain Heart, where fans can get all the latest news and information. The newly designed site allows fans to stay more connected then ever, with live feeds and links to their Facebook and Twitter pages, YouTube channel and more. They will soon add regular installments of Mountain Heart TV, which will include vignettes from the road and behind-the-scenes footage from their monthly national radio show. Fans can peruse through special photo galleries, listen to tracks from their latest album, That Just Happened, and order their favorite Mountain Heart merchandise. Mountain Heart is widely known throughout the music industry for continually redefining the boundaries of acoustic music and are without doubt one of the most popular contemporary bluegrass bands in the world today. They have their own distinctive sound, which includes accents of blues, soul, country, southern rock and jazz. 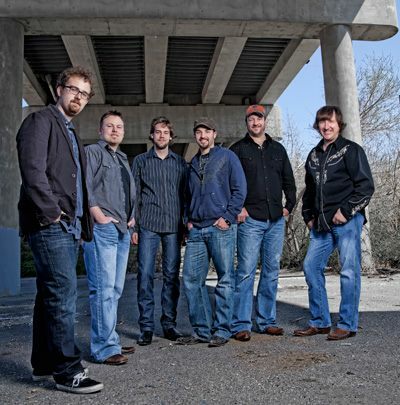 The six-member group is comprised of Jim VanCleve on fiddle, vocals and also the producer; Barry Abernathy on banjo and vocals; Jason Moore on bass and vocals; Josh Shilling on guitar, keyboards and lead vocalist; Aaron Ramsey on mandolin and vocals and Jake Stargel on Guitar. They consistently sell-out venues wherever they perform and appeal to a wide variety of musical tastes. Since forming in 1999, Mountain Heart has built a legion of fans and played the historic Grand Ole Opry stage over 100 times. Over the years they have shared the stage with a diverse group of performers, including, The Avett Brothers, Grammy Award-winning sensations, Alison Krauss and Vince Gill and Rock & Roll Hall of Fame inductees, John Fogerty, Levon Helm, and Lynyrd Skynyrd. Connect with Mountain Heart: at www.mountainheart.com. Steve Warner , Grammy winning guitar virtuoso, has launched a series of instructional video clips to his website. The videos feature Steve playing songs from his new Guitar Laboratory CD, and demonstrating various licks and showing aspiring guitarists how to capture the same sounds. This week’s mini-lesson is on the song Crafty, and additional clips will be posted in subsequent weeks. I had a great time making this record and experimenting with different guitars, tones, amps and styles. I thought it would be fun to share some of what I did with other musicians out there – Steve Warner. Released on 8th February Guitar Laboratory has earned stellar reviews and was featured in the 14th February issue of Country Weekly. He is currently featured in Vintage Guitar (April issue), Country Music Profiles (March/April) and Nashville Musician (January – March issue). 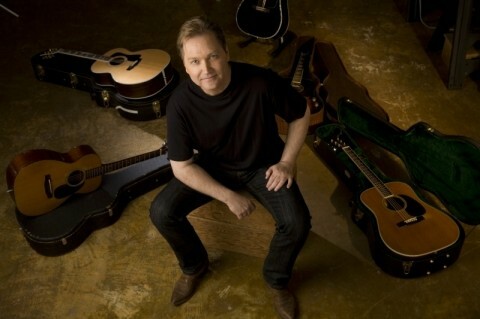 Steve Wariner is the warmest of guitarists. No matter what six-string he’s playing or what musical genre he’s attempting, the Indiana-born picker coaxes his fingers into producing a clear, soothing and warm guitar tone – Dallas Morning News. The Redlands Bluegrass Boys have launched a new website. Redlands Bluegrass Boys have been an integral part in the organising and running of the annual Redlands bluegrass convention held in July at Kindilan Outdoor Education Centre, Redland Bay, Queensland. Their current CD was reviewed here in August 2010. Their website address is redlandbluegrassboys.com.